High demand and shortage of teachers force boards to consider changes to the optional program. French Immersion students in class under the supervision of their teacher Melissa Morehouse at Elmlea Public School. 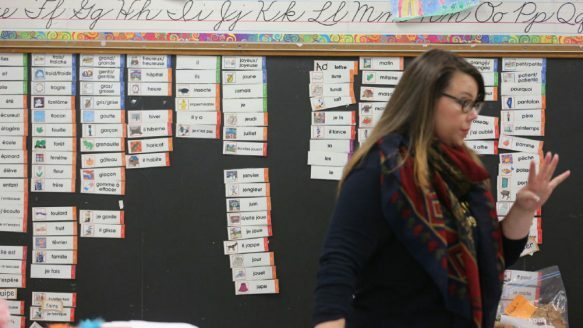 In Halton, explosive growth in French Immersion — which now serves 21,000, or almost half of all elementary students — is threatening both the French and English programs. 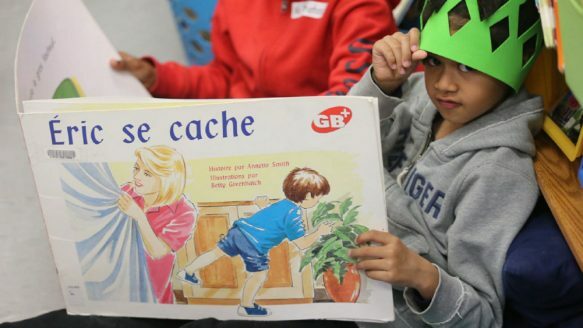 A French Immersion student reads a book at Elmlea Public School. Elmlea Public School teacher Melissa Morehouse. Bibliography: Rushowy, K. (2015). 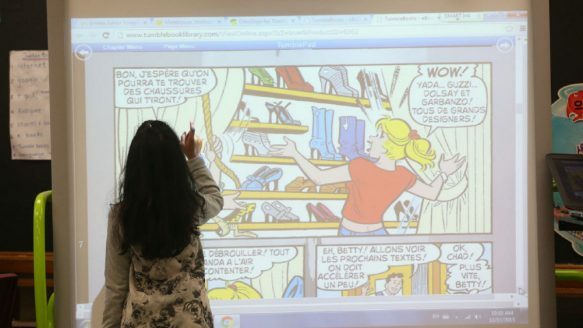 French Immersion growth causing pain for Ontario boards | Toronto Star. [online] thestar.com. Available at: http://www.thestar.com/yourtoronto/education/2015/11/22/french-immersion-growth-causing-pain-for-ontario-boards.html [Accessed 24 Nov. 2015].